Further to discussions at our last MCC Meeting, a Proposal of Application Notice – 19/00007/PAN – has now been submitted to the Council’s Planning Department by Springfield Properties for site H49 (the fields behind the bowling green). 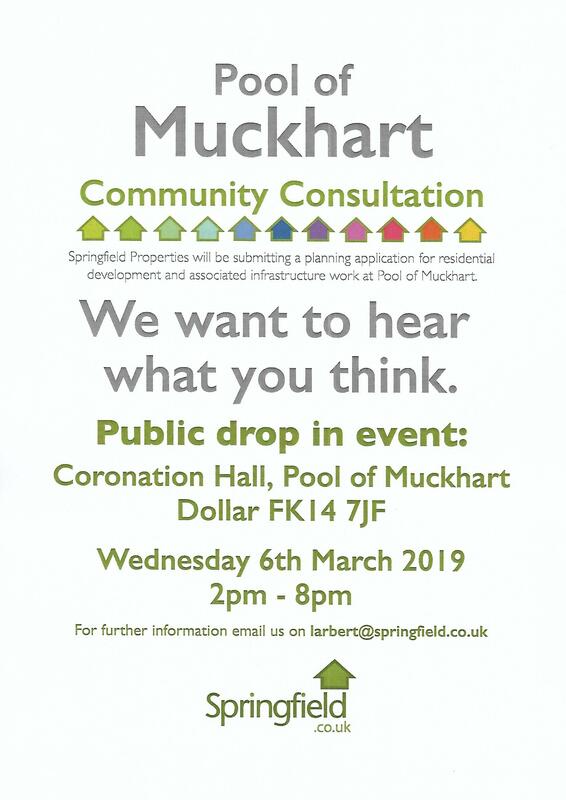 MCC has arranged with Springfield for them to present and discuss their initial residential development proposals, in advance of the proposed community engagement event (scheduled for 6th March). Keep your body hydrated, drink plenty of water. 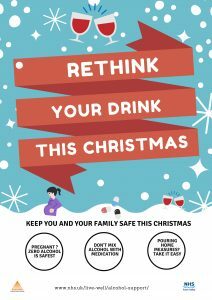 If you are pregnant or might be? 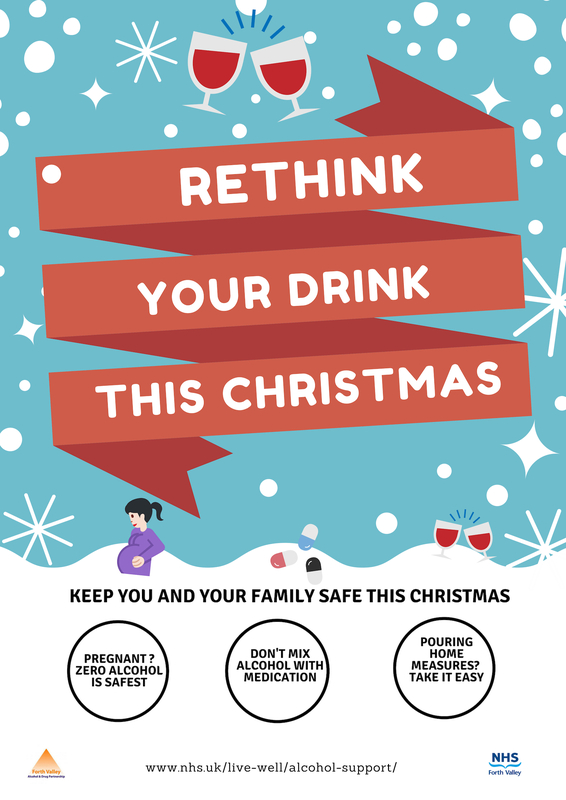 Zero alcohol is the safest option. Have something to eat before and during your night out. Clackmannanshire and Stirling’s Employer Engagement Forum have launched a survey to help identify support needs and skill gaps for local businesses operating in the Stirling and Clackmannanshire area. This will help direct people to the support they need, and identify where the support needs are, so that support organisations can better meet those needs. The survey should only take about 5 minutes to complete and is appropriate for all sizes of business, including sole traders. 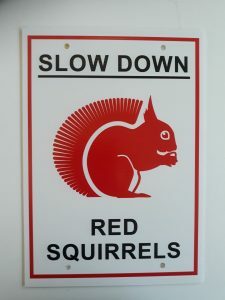 Local residents along Golf Course Road are planning to display ‘Slow Down’ roads signs in an attempt to make the area safer for the local red squirrel population. 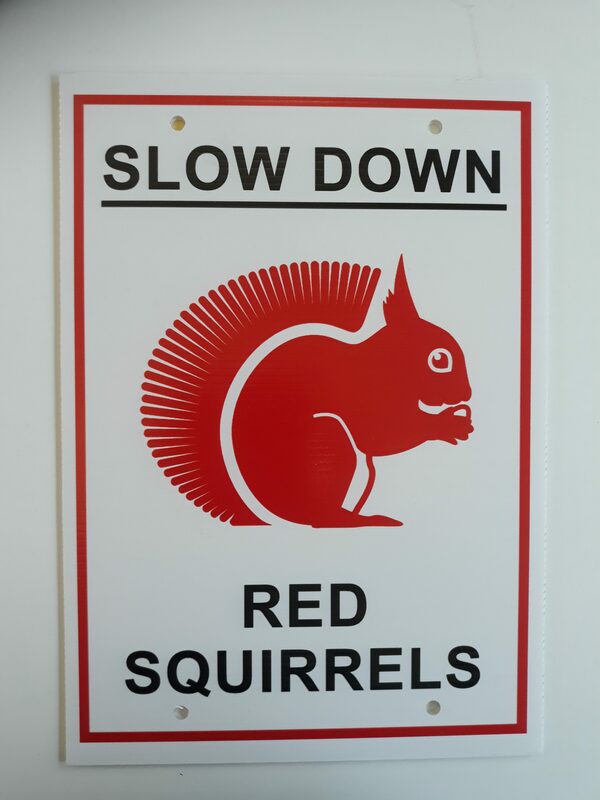 Should you be driving along this road, MCC and our community would be grateful if you would take heed of these signs and slow down to help protect our red squirrels. Many thanks, in advance !! Following agreement at the recent Muckhart Community Council (MCC) Annual General Meeting, I am pleased to advise that the MCC Meeting dates for 2019 are now confirmed. 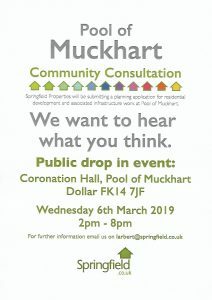 All meetings will take place at 7:30pm, on the dates indicated, in the Coronation Hall, Pool of Muckhart and are open to all members of our community. Please put these dates in your diary now – we look forward to seeing you there !! The first Muckhart Community Plan Annual Review took place on 29th August. Further to this meeting, John Anderson, MCC Chair, has prepared the MCP Annual Progress Report (September 2018) which was discussed and approved, unanimously, by all members, at the MCC Meeting that took place on 5th September. Recent advancements in technology make switching to an electric vehicle or a renewable energy source more achievable and affordable than ever, so join Home Energy Scotland as we help to put you in the driving seat for a cleaner future! This evening event will provide you with an informal introduction to home renewables, electric vehicles (EVs), solar PV charging systems, and electric battery storage. Bringing together a range of specialists to highlight how recent advances can help you make smart energy choices at home and on the road, this event is suitable for anyone who is considering investing in home renewables and/or an EV. With test drives from a luxury electric vehicle manufacturer, an hour of informative presentations, and the opportunity to chat to experts over refreshments, this free technology showcase event is sure to help you make decisions that are both sustainable and economical for your home. There will be refreshments available! The A823, at Rumbling Bridge, will be closed from 20th August (7.30-16.30 hrs, Mon-Fri, for two weeks). Should you require further information, please contact Perth & Kinross on 01738 476 476 or Transport Services number on 0345 30 111 30. Thanks to Alison MacDonald for passing on the information ! !